Quit monkeying with your thru axle before you ride. Quickly mount your road or mountain bike to your car without having to remove your front wheel with the RockyMounts BrassKnuckles Upright Mount. The from-fitting mounting hardware is universally compatible with any crossbar, while the wheels-on bike mount accommodates 20-29 inch wheels. The ergonomic BrassKnuckles allow you raise or lower the bar quickly and easily and are secured against either the front wheel or fork, eliminating frame contact. To increase fuel efficiency, the rack can be folded down for a low profile when not in use. Locks are sold separately. I bought this rack to replace my Yakima roof rack and I find that it makes less noise (no whistle!) and holds my bike much more secure. However, the video demonstration where you remove the mounting plate is misleading. In the video, the demonstrator pops the mounting plate off. It took several minutes of hard prying with a screw driver to remove the mounting plate to access the hardwear. Once off, it was easy to install, but I'd grab some tools instead of trying with your bare hands. The set up was quick and simple! Holding the bike solid and secure. The rack looks great too! Overall very happy with the product! Super easy to install. Ultimate fit, from BMX to fat bike, and everything in between. Love it! Quick, easy setup and unique locking mechanism. Set up is quick and painless, they mount easily and they hold bikes solid. that's pretty much the checklist for what ya want in a bike rack. They look just fine too. This fits my fat factory bars and my fat tire bike, so I'm pumped. It was very easy for me to mount. I did have to WD40 the arm after it was over the winter. But, now it's manageable. I also wish it came with the locks. But, overall I'm really happy and it gets me where I want to go. I've got three of these now. They mount easily, are secure, and are low profile. Additionally, spare parts are available through RockyMounts (and eTrailer). The Toyota dealer managed to damage it in the car wash, and I was able to replace the arm and mounting straps. They are a touch pricey, but worth it. Easy installation only took me about 30 minutes. I was disappointed the lock cores came separate and I ended up buying some later. This rack came stock as a passenger side installation, but I was able to swap to my driver side pretty quickly and easily. Feels super solid when driving and haven't noticed any issues with wind or shaking. I have had both these and the Thule and although I like the fuctions of the Thule I like the looks of this rack better. My kid has these on his car now and he loves them. Will Thule lock cores work with this? I bought a large pack of them when I got my bars, hoping to have everything use the same key. Have an answer for 948p303798? received this the evening befor a trip to the mountains carrying my fat bike with 5"wide tires. Assembled in 15 minutes with the "assistance" of my two year old. Mounted it in fading light in another 15 minutes. Practice loaded my bike to work out the best way. The rack is easy to assemble, easy to install/uninstall. After first install, I can do it about 5 minutes. With the fat bike adapter kit it held my bike securely and the bike is easy to put in place. Or as easy as any roof rack that requires you to hoiste your bike onto your rides roof can be. Time will tell on the durability but I am vary happy with the racks ease of assembly and operation. This is a great rack. I do doubt the durability and weather-proof on the foam on the frame contact point. I have a white car and a black bike. So naturally I got the white rack and it looks like it came with my car! I get nothing but compliment after compliment on how great this rack looks. Functionally is simple and super solid. Easy to rack your bike up in less than 10 seconds! I'd buy this rack again for sure!! ive had almost every type of roof rack out there and this is by far the best. bikes are super stable even in high winds. I've used a few different racks, and this one is my favorite. Installation was easy and it's very low profile. You can lock the rack to your cross bars, and then lock your bike to the rack (lock cores sold separately). The brass knuckles holds your bike in place extremely well, with no wiggles, wobbles or otherwise. If you're looking for a well built, easy to use roof rack this is the one. Truly the best bike rack available. I've had this thing through over 60mph cross winds while traveling 75mph and it hardly moved an inch. I bought the fatty adapter and love how easy everything is to use. Kind of a bummer you have to buy the locks but they aren't that expensive, however they are an absolute must. 5 stars. If you want a bike rack for your roof, I would only recommend brass knuckles from RockyMounts. Nice picture, Justin! Sweet ride(s)! This is a nice bike rack. It was simple to attach to the factory crossbars on my Subaru Forester, and once I got over the paranoia that my bike would fly off the roof at highway speeds, I feel confident that the rack provides a stable carrier for road and mountain bikes. The wheel holder ratchets down securely, and nothing touches the bike frame. My only gripe is that the brass knuckles arm can be a real #$@&%*! 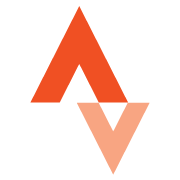 to pivot, especially when loading a bike onto an SUV, holding the frame with one hand, and trying to wrestle the arm into the right position with the other hand. This is made worse after a long ride, when there is very little wrestle left in my body. I've read that I can loosen the retaining collar for the arm to ease the movement, but I haven't gotten around to that yet. I had the same problem, get around to loosening the retaining collar it makes a great rack even better! Every rack wants to be a Rockymounts Brass Knuckle. It works like they all should. Plus, it's the most low profile rack there is. It goes perfectly with my whisper quiet Thule aero bars. Even though it looks like my mini's about to joust. I was searching for a rack that would hold my road/cross bike with standard QR axle and my mountain bike with thru axle. I didn't want to fuss with an adapter each time I switched between them, and I didn't want to have a frame mount pinching carbon tubes.<br><br>Brass Knuckles solves all of those problems - no need to remove front wheel, and no frame contact. Definitely easier, or...less attention needed...to mount a disc-brake equipped bike because the mounting part can get quite close to front caliper brakes, but isn't a big deal. I've used it with both road and mountain bike thus far in windy West Texas at highway speeds with no issue. Note: does require lock cores if you want to lock, and RockyMounts cores seem to be less expensive than others.<br><br>In short: it just works. Excellent solution for me.